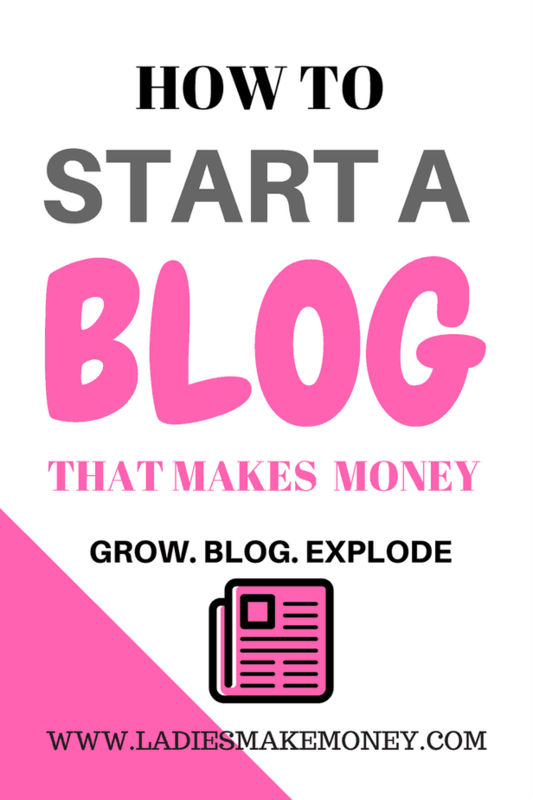 I have been getting countless emails from my readers about how to start a blog. Not just any blog. But a blog that actually makes money. They are countless blogs out there that teach people how to start a blog. I wrote a full tutorial on how you could turn your blog into a money-making machine, but I thought I would write one about the technical side of how to start a blog and make money with Siteground. Before we get started, we would love for you to join our growing Facebook group right here! You can also join our Pinterest group by scrolling to the bottom of this page! If you are looking for guest blogging opportunities or if you need a personal affordable coach to take you from A-Z, we can help you. Get all the juicy details right here! Have you seen our brand new shop! We also wanted to take the opportunity to let you know that we use Affiliate links on some of our blog posts. This means that we could make a commission if you click on an affiliate link and purchase something. I am lucky that my blog has brought me the income I need to stay at home with my child. I am looking at more ways to monetize my blog, but you can look at examples of my blog income reports below. Hopefully, this will convince you to start a blog and make money with Siteground. Why Siteground? I have had the privilege of using other hosting companies, but when I made the switch to Siteground, my blog traffic and income increased and it shows no sign of slowing down. If you are not tech savvy, don’t worry. 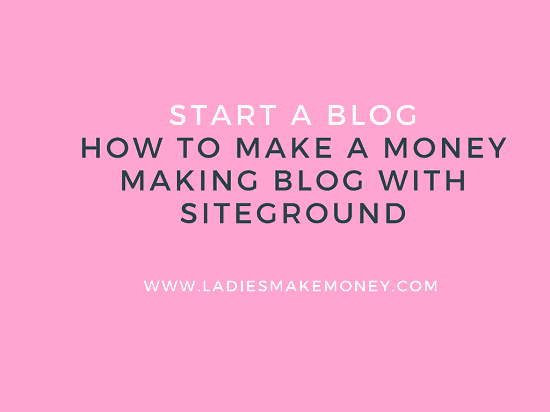 We will you through the step by step process on how to start a blog and make money with Siteground. If you already have a blog, you can read this post on how to turn your current blog into a money-making machine or you can sign up to receive unlimited actionable tips to start making money with your blog. Now let’s begin. Before you can think about starting a blog, you need to determine what you want to blog about? You need to ensure you pick a topic or a few topics that you truly love. Try to make it as niched down as possible so you have better chances of ranking and connecting with your readers. Don’t worry if you really can’t niche it down. When we say niche it down, an example of this could be- Fashion. If you want to blog about fashion, you want to determine what type of fashion blog you wish to have. For example, you might want to talk about women fashion. What sort of women fashion? Glam? Supermodel fashion or work attire? Are you targeting, teens, mid-20s or the workforce? Elegant and chic styled or laid back and comfy fashion? Then you want to do everything to ensure your blog message is clear. If you are going with Chic and elegant work styled fashion targeted at the 20-30-year-olds, then find out what they really like and blog about that. Stick to keywords that are chic, stylish, elegant and high-end words. Examples of blog posts: 10 Stylish dresses for summer work outfit, How to put a chic outfit together in less than 30 minutes, The best winter looks for the elegant women, How to dress like a pro in your 20s and look on point. I hope you get where we are going with this. Your blog will be known for a certain type of style and look. Here is a great post to read: The Ultimate Guide to Business Casuals for Women Entrepreneurs. As you know by now, we recommend hosting your blog with Siteground. It is extremely affordable, fast, the customer service is amazing and the blog traffic you will get will blow your socks off. Don’t worry, we will walk you through the steps by step guide on how to start a blog and make money with Siteground. You will be all set and running in less than one hour. We do want you to take some time in deciding your blog name and ensuring it’s available for use. We want you to take your time to determine your niche before starting with the next step. Don’t make a quick, irrational decision about it. 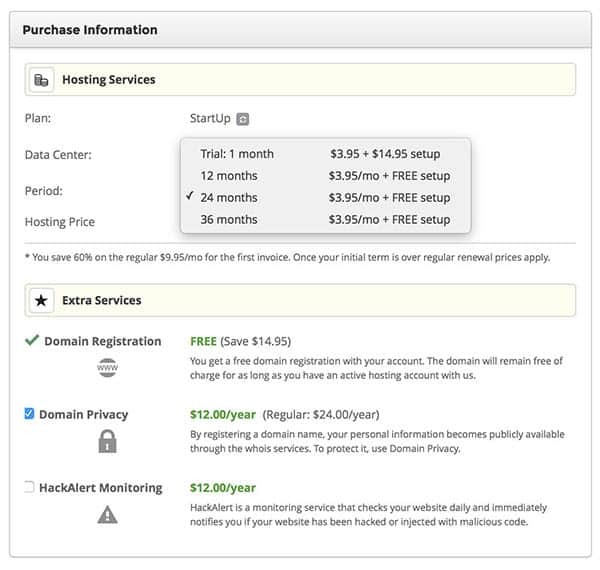 You can start a blog and make money with Siteground for as low as $3.95. That is insanely affordable. Why should you start a blog with Siteground? I had a blog with a different hosting company when I first started. I decided to switch to Siteground due to the speed, the fact that it never went down and I could rely on it and the great customer service they provide. Nothing worse than to have your site go down, especially if you plan on making money from it. SIteground has a 99.99% uptime which means it almost never goes down. And I am happy to testify to that. The customer service at Siteground is amazing. They can help you set up everything and have your blog up and running in less than 20 minutes. They truly have amazing customer service and you won’t regret it. 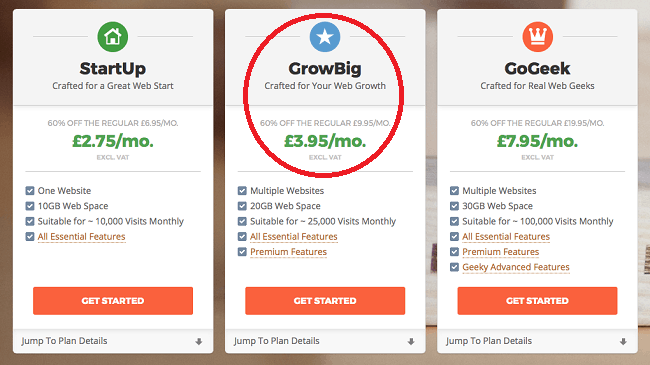 Are you ready to start a blog and make money with Siteground? Then do it now! We highly recommend going for the basic hosting plan to start off with until you are ready to upgrade. This will depend on how much traffic you start getting. I personally have the GrowBig plan. That is the plan we went with. Hopefully, by now you should have picked your domain name. 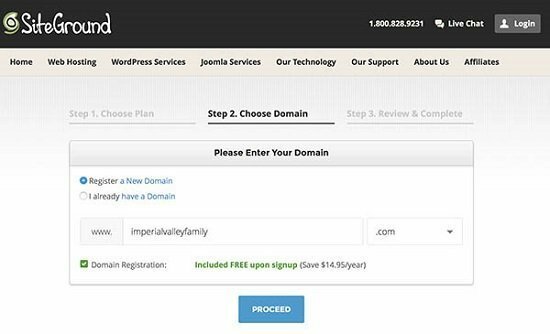 Your domain name is the name of your website. Mine is Ladies Make Money Online- www.ladiesmakemoney.com. You need to pick yours now. Remember we mentioned picking a great name. Something that reflects what you will be blogging about. Some bloggers chose to go with their own name. If you have a name that is not complicated, then go for it. Ready to start a blog and make money with Siteground? We are so excited for you. 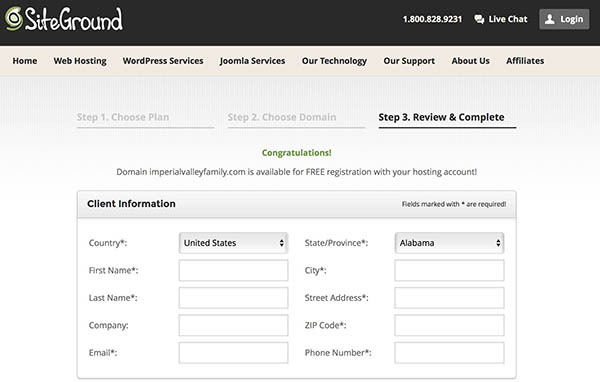 The next step after picking and choosing your domain name is to fill out all the information to finalize your blog. You can opt to go with a one year plan or a two-year plan. With a one year plan or more, you get a FREE set up with Siteground and you get a better saving plan. Go ahead and pick your plan. Woohoo, you are all set! If you followed our step by step guide, you should all be set now. We are excited that you will soon be making money with your blog. Don’t forget to sign up here to get the tips to start making money from your blog. We outline everything you need to start making money with plenty of options. Now that is out of the way, we highly recommend using WordPress as your blogging platform. It’s the easiest to use, the most popular and the most recommended. Trust us. Now let’s install it and get you completely set up with your blog. 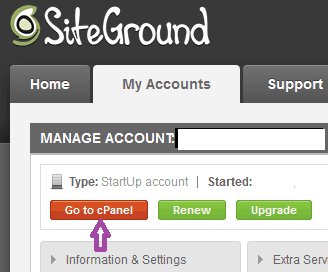 While you are in the Siteground site, go to the ‘My Accounts’ tab and then to the red almost orange (burnt orange) button which says ‘Go to cPanel’. Next, in the ‘Autoinstallers’ section, click on ‘WordPress’. When you click on Install, fill in the information on the page. You will then be prompted to add a theme, but skip this step and do it on your WordPress platform. And you are done! Follow these steps to take it even further! Want to make serious money with your blog? Sign up for our FREE money-making guide.